The Lynx is an incredible card knife from JHO Knives made from CPM-S35VN stainless steel. Milled holes and jimping along the top half of the knife provide a reliable grip during use. 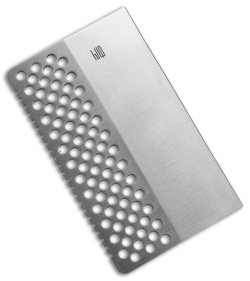 Its chisel ground, straight edge blade is suitable for shaving, slicing, and chopping. 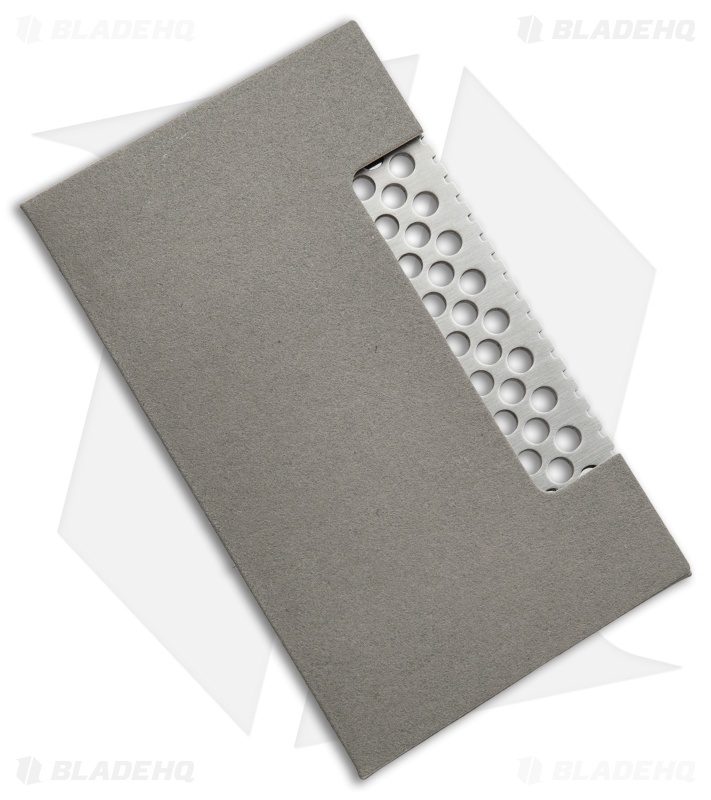 The Lynx includes a tear proof, water resistant paper sheath that will fit in most wallets and pockets. This model has a satin finish and comes in a felt lined pouch. Limited run of only 200 pieces. Slender, compact build fits in most wallets. CPM-S35VN offers superior corrosion resistance and edge retention.